Ships today if you order in the next 13 hours 12 minutes. Andrographis, Echinacea angustifolia root and Holy Basil provide a unique range of phytochemicals including diterpenoid lactones (collectively referred to as andrographolides), flavonoids, caffeic acid derivatives (especially echinacoside and cynarin), alkylamides, essential oil (rich in monoterpenes and sesquiterpenes, typically eugenol) and polyphenols. 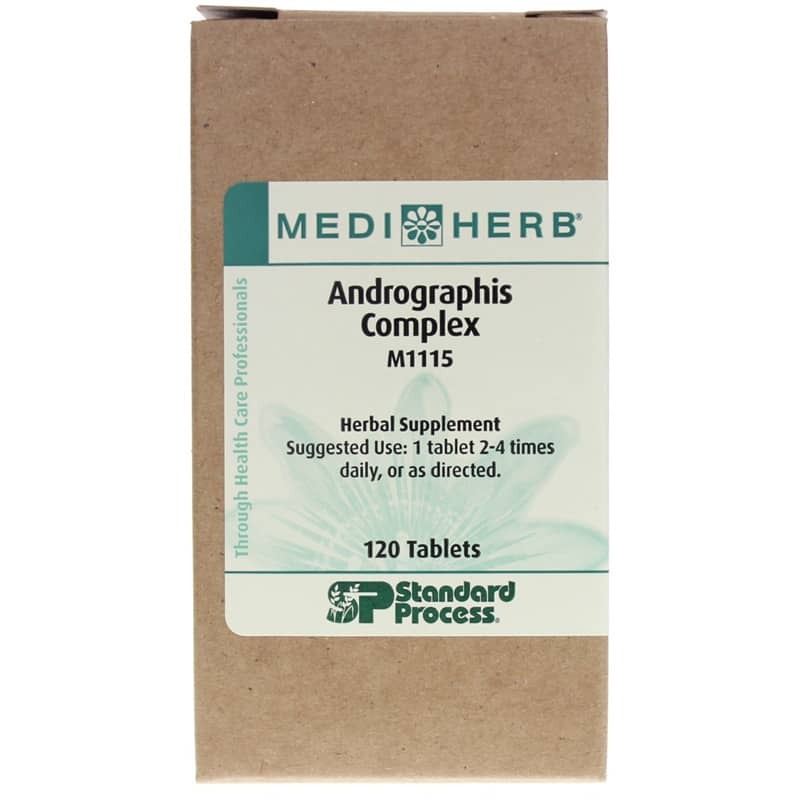 The Andrographis component of this tablet is standardized to contain 10mg per tablet of andrographolide to ensure optimal strength and quality. 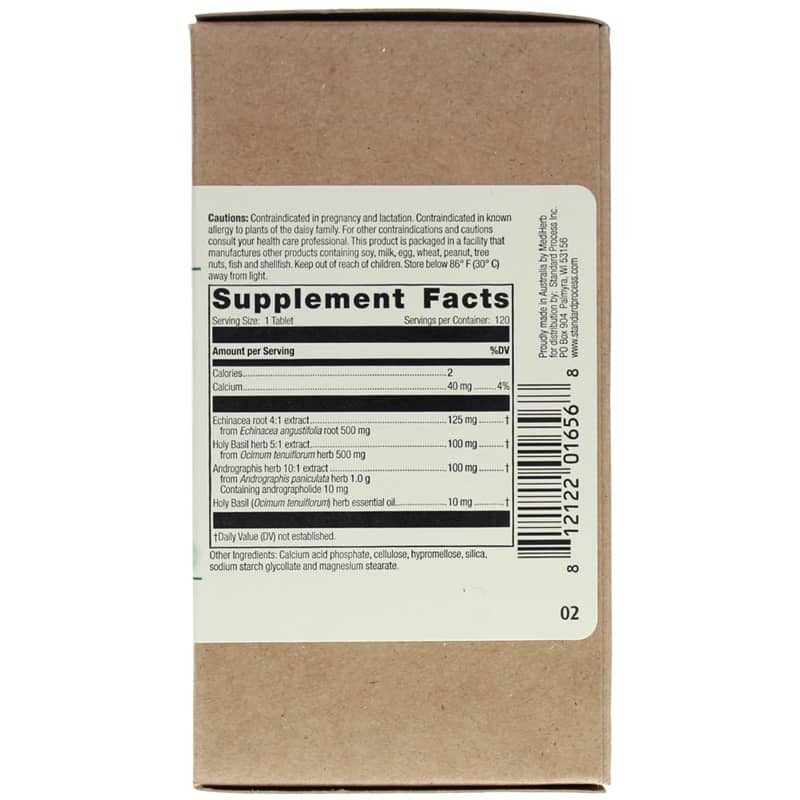 For natural immune support, order today! Other Ingredients: Calcium acid phosphate, cellulose, hypromellose, silica, sodium starch glycollate and magnesium stearate. Contraindicated in pregnancy and lactation. Contraindicated in known allergy to plants of the daisy family. Keep out of the reach of children. It should always be kept on hand!